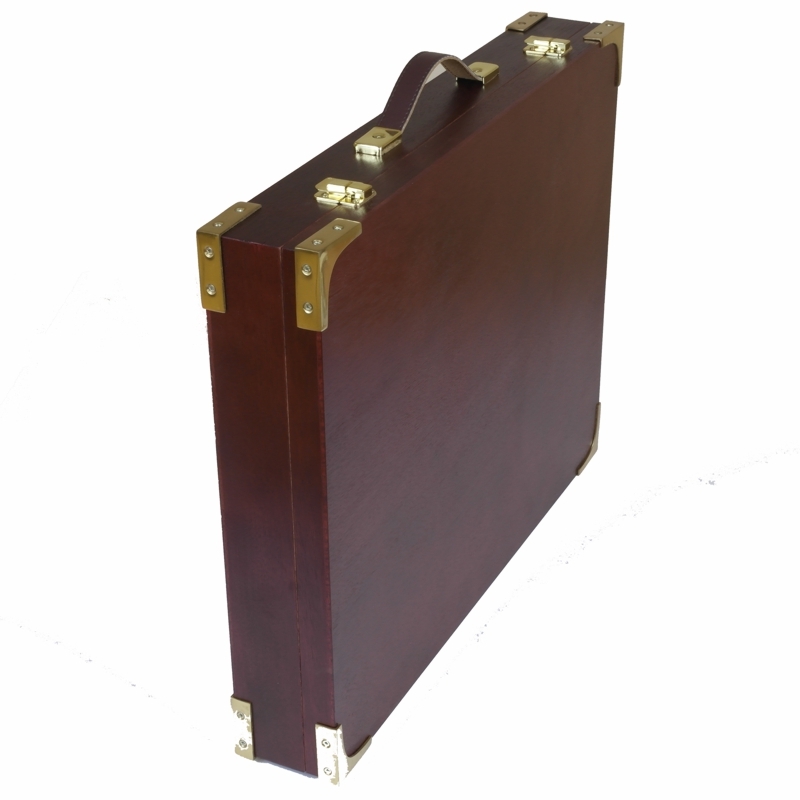 A superb quality wooden box with brass corners and carry handle. 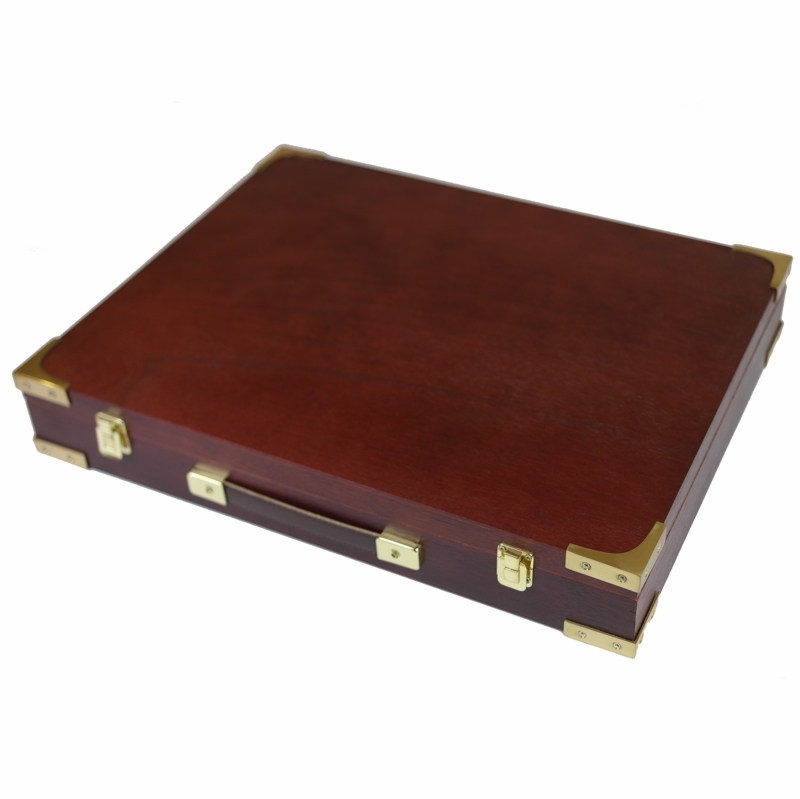 The Cheltenham Box is a solid mahogany box featuring brass fittings with carrying handle. 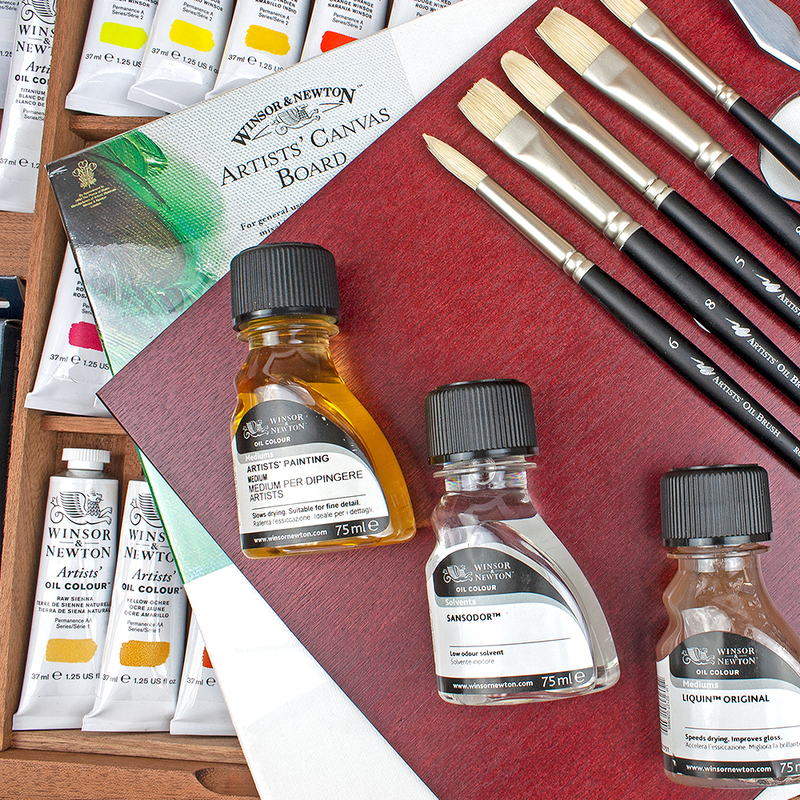 It containing: 20 x 37ml Tubes of Artists' Oil Colour, Liquin Impasto Medium 60ml Tube, Artists' Painting Medium 75ml, Liquin Original 75ml and Sansodor Paint Thinner 75ml, 2 x Palette Knives (20 and 24 - sizes may vary subject to availability), Double Dipper with screw top, Wooden Palette, Griffin Eraser, 2 Conte graphite Pencils 5 assorted Hog Brushes, M&R Professional Solid Brass 2 Hole Pencil Sharpener, 3 x 16" x 12" Winsor & Newton CanvasBoards. 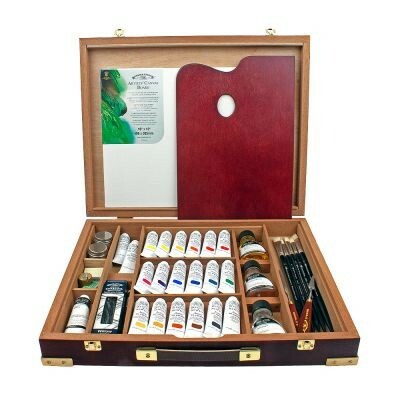 This set has been discontinued by Winsor & Newton, but we have been able to aquire the empty wooden boxes and fill them with the products on the contents section. Contents subject to availablility. Stock availablility may mean that some items are substituted with the closest alternative. Width 49cm x Depth 40cm x Height 8cm. The box will accommodate canvas boards up to 12" x 16"